At Rio 2016, Tongan taekwondo athlete, Pita Taufatofua, made headlines around the world when he carried his nation’s flag at the Opening Ceremony dressed in nothing more than a traditional Tongan mat around his waist. While it was his choice of outfit which caught the world’s eye, it was dedication to become Tonga’s first ever Olympic taekwondo athlete which was most worthy of admiration. Taufatofua had to battle through four Olympic cycles before qualifying for Rio 2016 in taekwondo. His commitment and self-sacrifice paid off after 20 years and he found himself finally competing at a summer Olympic Games. He performed admirably but was knocked out in the first round of the taekwondo competition. Having had a taste for the Olympics, he switched his attention to winter sport and the discipline and hard work he had learned during a career in taekwondo held him in good stead. In just a year, he managed to qualify for PyeongChang to become Tonga’s first ever Olympic cross-country skier. With no snow in Tonga, he had to learn using sand and wooden planks strapped to his feet. 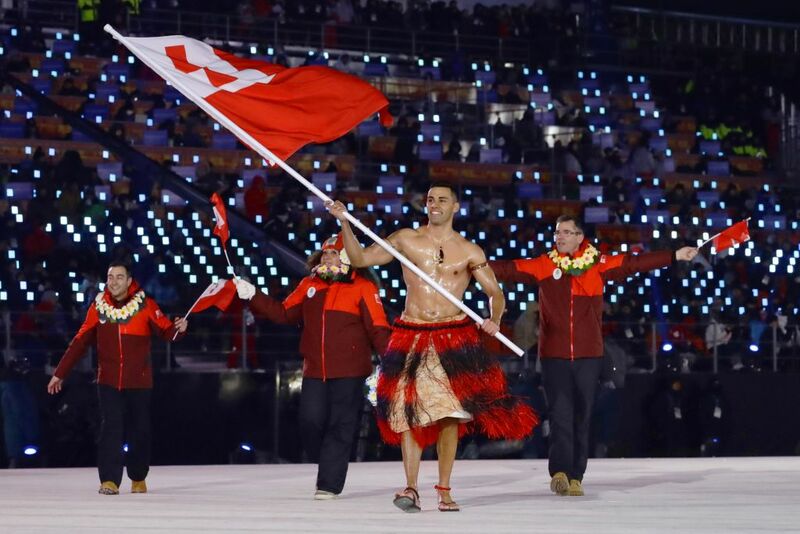 At PyeongChang 2018’s Opening Ceremony, Taufatofua once again had the honour of carrying his nation’s flag and once again, despite the freezing temperatures, wore just his traditional Tongan mat around his waist. 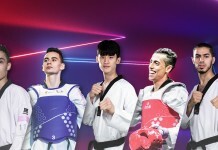 With his performance yet to come, the taekwondo family wishes Taufatofua the very best of luck. But hopes to see him back on the taekwondo mat soon! Indeed, he has already got his eye set on a third successive Olympic Games at Tokyo 2020 where he hopes to be returning to taekwondo. Click here to watch video of Taufatofua from OlympicChannel.